The Internal Medicine Residency Program at Wright State University Boonshoft School of Medicine invites you to join us for your life-long journey of discovery. 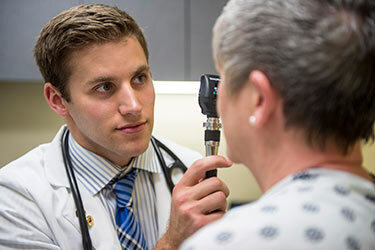 The Wright State Internal Medicine Residency is a unique university training program providing diverse clinical experiences at multiple institutions. Our residents care for patients at the Miami Valley Hospital — an 858-bed academic medical center, the Dayton VA Medical Center and the Wright-Patterson Air Force Base Medical Center. Our patients include community residents and the underserved, as well as populations of active duty military and veterans. Our program prepares residents for future practice in any clinical setting. From rural medicine, to global practice abroad, to subspecialty care, to academic medicine, past graduates have pursued a wide range of career paths after completion of our training program. The residency program is part of the Boonshoft School of Medicine, a community-based medical school nationally recognized for its commitment to the social mission of medical education. 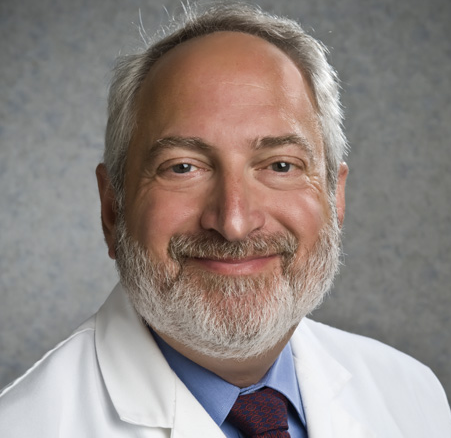 Like our patients, our core faculty is comprised of a diverse group of clinical-educators who provide high quality medical education in both the hospital and ambulatory settings. Our extensive compliment of fellowship programs adds to the educational milieu. Resident research is well supported, and we offer a research track for highly motivated residents. The faculty and I invite you to explore the outstanding features of the Wright State Internal Medicine Residency Program in Dayton, Ohio. We look forward to your visit. Come be part of the future of Medicine! The Wright State University Internal Medicine Residency Program emphasizes education-over service to develop versatile clinicians capable of handling both general medical outpatient issues and inpatient critical care. On completion of the program, residents are prepared to enter general internal medicine practice, hospitalist practice or to continue into subspecialty fellowship training. Residents care for a diverse patient population at the three major participating hospitals: the Premier Health Miami Valley Hospital, the Dayton Veterans Affairs Medical Center and Wright-Patterson Medical Center. Dayton has always been known for innovation and the Wright State Internal Medicine Residency Program continues this tradition. Our flipped classroom approach to teaching during our academic half day emphasizes the benefits of active learning. From an innovative curriculum, to the use of simulations in training and implementation of technology in teaching, our program strives to order maximize resident education and potential for success. Electronic medical record at all teaching sites. Emphasis on ambulatory training, with general medicine continuity clinics, experience in private physician offices, and elective options in ambulatory sites for training in orthopedics, gynecology, dermatology, allergy, ophthalmology, psychiatry, and otorhinolaryngology. Program flexibility that allows residents' input in planning their education to meet future practice needs. Coordination of conferences to cover core curriculum as well as special topics for residents at all sites. 24-hour in-house intensivist coverage at Miami Valley Hospital. Innovative schedule to facilitate ambulatory practice without adversely impacting medicine rotations. Research opportunities at all three affiliated hospitals.